The Roots Radics - Radicfaction - Distant Drum / Ohm Records LP 33T — OHM RECORDS INC. Musicians include – Flabba Holt - Bass, Style Scott - Drums, Bingy Bunny and Dwight Pinkney - Guitar, Gladstone Anderson - Piano, Steelie Johnson - Organ, Sky Juice - Percussion, Dean Fraser and Nambo Robinson - Horns. Ohm Records Inc. proudly presents one of the heaviest dub albums in history, The Roots Radics - Radicfaction. Originally recorded and mixed at the legendary Channel One Recording Studio in 1982 with an incredible lineup of deep entrancing rhythms. Remastered and beautifully pressed in a limited edition vinyl release, tracks include – Weep & Wail, Gunman, Radicfaction, Inforce’a, Road Block, Babylon Armed, Dread In Confrontation, Changes, M16, and Judgement Time. The Roots Radics Band was officially formed in 1978 by Errol “Flabba” Holt, Eric “Bingy Bunny” Lamont, and Lincoln “Style” Scott. 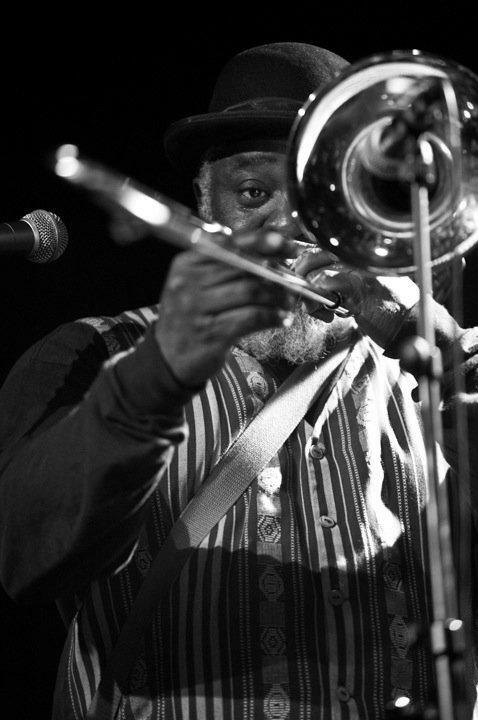 Many other musicians would come to join the band over the years such as, Noel “Sowell” Bailey, Dwight Pinkney, Gladstone Anderson, Clive “Steelie” Johnson, Christopher “Sky Juice” Blake, Noel "Scully" Simms, and usually accompanied by the masterful horns section of Vin Gordon, Ronald "Nambo" Robinson, Richard "Dirty Harry" Hall, Dean Fraser, Bobby Ellis, and Felix "Deadly Headly" Bennett. These musicians took their influences of early reggae, ska, and rocksteady and created a completely new and original sound like no one had ever heard before. From the late 1970's through the 90's this sound reigned over reggae dancehalls worldwide. The Radics backed the majority of vocalists and vocal groups coming out of Jamaica at that time on countless albums and singles. 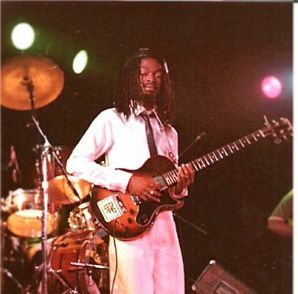 Although the band was independent, they did a lot of work with Maurice Wellington, Henry “Junjo” Lawes, Linval Thompson, Joe Gibbs, and many other producers. In the early 80's Blacka Morwell worked with them on producing a series of underground releases and the dubs on Radicfaction were a part of the result. The members of the Radics themselves were so versatile that most of them knew every facet of the process for creating great music. Not just playing mind altering rythms but also mixing and arranging things to perfection. The Radics had an inner vibe and brotherhood amongst them that resonated through their music. These particular sessions and this album were wrongfully credited originally. 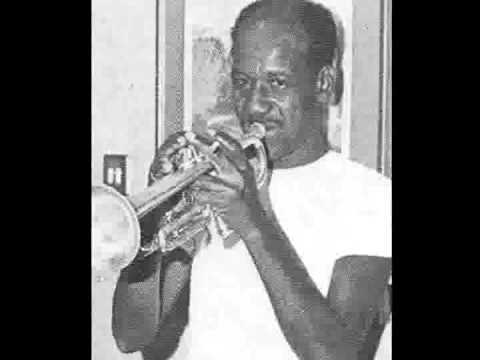 The lead musical engineer for this project was in fact, Anthony “Crucial Bunny” Graham, also nicknamed Bunny Tom Tom. Mr. Graham began working in the music business in the late 1970's and was an incredible engineer, mixer, and producer. He started his career working with the great King Tubby and through that channel he mixed albums for artists such as : The Heptones, Black Uhuru, Earl Zero, Al Campbell, Earl Sixteen, The Ethiopians, and many more. In the early 1980's Bunny Tom Tom Graham really came into his own and found an amazing sound musically through the vast mixing board at Channel One. Every major recording studio in Jamaica those days had their own distinct sound and on Maxfield Avenue in the heart of western Kingston, Channel One stood at the top. The studio was built by the Hoo Kim brothers; Joseph, Ernest, Paul, and Kenneth in 1972. Three years later the studio aquired a 16 track recorder which allowed engineers to record each instrument distinctly, creating a new sound in dub music with greater effects and detail. At the beginning the brothers cleverly allowed other producers to record there at no expense to build up the vibe and environment around the studio. The original house band called "The Revolutionaries" made up a conglomorate of some of the musical elite in Kingston. 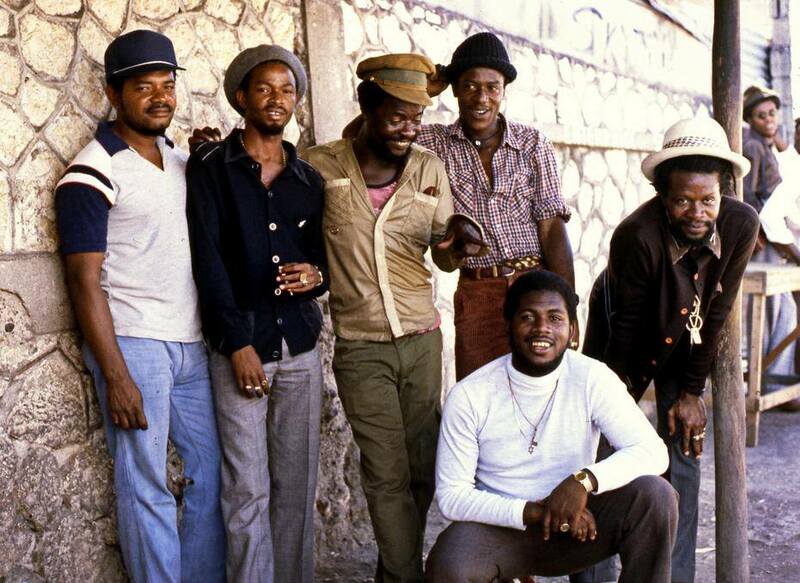 Most of these members went on to help form the Roots Radics. During the 80's Channel One was the experimental musical labratory for the Radics members and from that, they truly discovered how to play as one. Some vocal counterparts to these rhythms were – Weep And Wail, dub to I See A Black Man Cry by Derrick Spence. Gunman, dub to Me And Jane by Bingy Bunny. Radicfaction, dub to Free Up The Black Man by Rising Fire. Infore’a, dub to Keep It In The Family by Bingy Bunny. Road Block, dub to Him A Natty Dread by Bingy Bunny. Babylon Armed is on the "You Should Have Known" riddim. Changes, dub to Black Cinderella by Horace Andy. M16, dub to Street Lover by Bingy Bunny, and Judgement Time which is a version on the classic “Vanity” riddim played on dozens of reggae songs. "The verb dub is defined as making a copy of one recording to another. 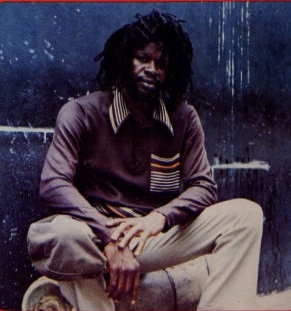 The process of using previously recorded material, modifying the material, and subsequently recording it to a new master mix, in effect doubling or 'dubbing' the material, was utilized by Jamaican producers when making dubs. Dub is a genre of music that grew out of reggae in the 1960s, and is commonly considered a subgenre, though it has developed to extend beyond the scope of reggae. Music in this genre consists predominantly of instrumental remixes of existing recordings and is achieved by significantly manipulating and reshaping the recordings, usually by removing the vocals from an existing music piece, and emphasizing the drum and bass parts (this stripped-down track is sometimes referred to as a 'riddim'). Other techniques include dynamically adding extensive echo, reverb, panoramic delay, and occasional dubbing of vocal or instrumental snippets from the original version or other works. 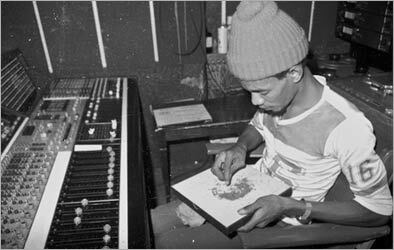 Dub was pioneered by Osbourne "King Tubby" Ruddock, Lee "Scratch" Perry, Errol Thompson and others in the late 1960s. Similar experiments with recordings at the mixing desk outside of the dancehall environment were also done by producers Clive Chin and Herman Chin Loy. These producers, especially Ruddock and Perry, looked upon the mixing console as an instrument, manipulating tracks to come up with something new and different. Dub has influenced many genres of music, including rock (most significantly the subgenre of post-punk and other kinds of punk), pop, hip hop, disco, and later house, techno, ambient, electronic dance music, and trip hop. Dub has become a basis for the genres of jungle/drum and bass and dubstep."